On the topic of Rio players and dedicated U2 iPods, above is a Bible pod from the Walmart website (hat tip mashedpo). You could theoretically use any mp3 player to hear the Bible being read aloud but the Audible Audiobooks versions have restrictive DRM to make them unplayable outside Audible's own proprietary software and besides, there is the hassle of loading the player. 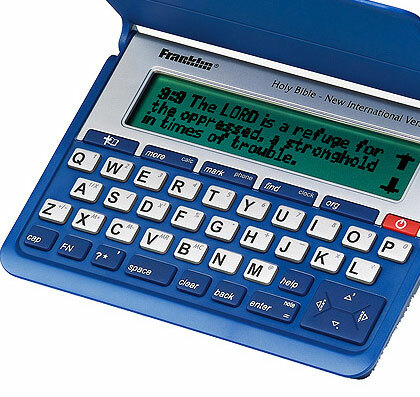 Hence this beeper-sized audio Bible that has only one (canonical) text. 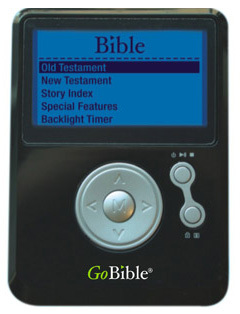 Walmart also offers this blackberry style Bible in text-only. 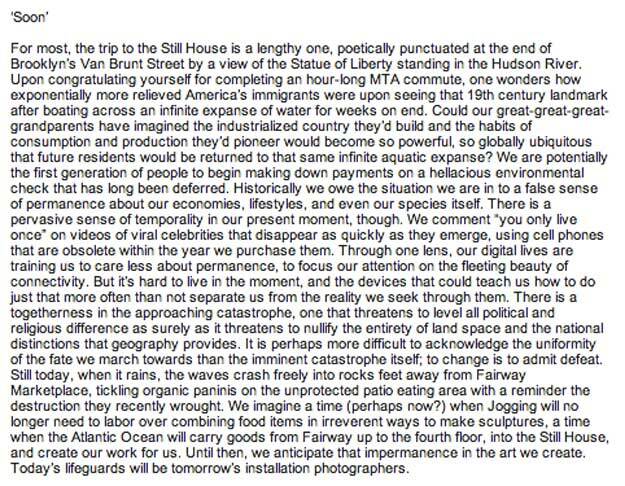 The above text announces an exhibit in Red Hook of an internet art website (hat tip Peggy for screenshot).